It seems I am not a frequent blogger so far, but I have my excuses. 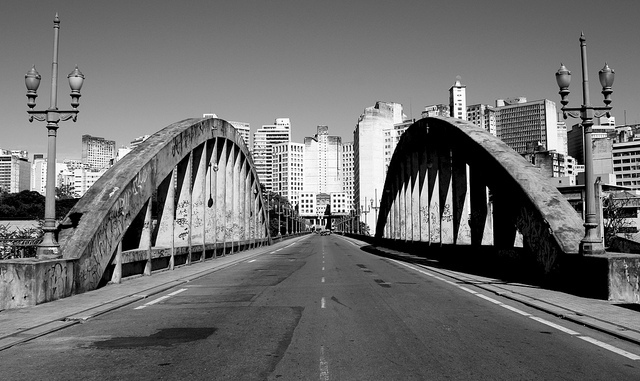 I moved to Belo Horizonte, Brazil at the beginning of March and have been going through a rather-longer-than-anticipated process of settling in. 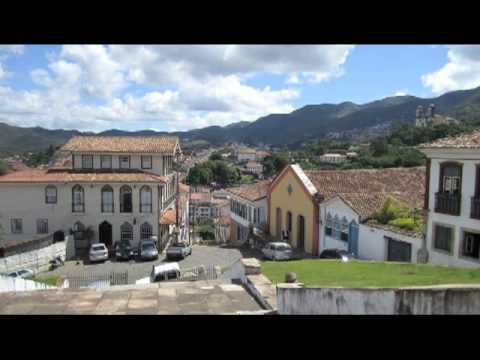 But, now that I have a fabulous new internet connection in my little apartment in Funcionários (neighborhood in Belo Horizonte), I intend to share my thoughts here more frequently. Today, I waxed a bit nostalgic and decided to practice a tune I sang for my master’s recital in 2008 at the University of Illinois. Later on, I decided to see what I actually sounded like three years ago, which for many musicians I know can be a cringe-worthy task. I decided that several recordings were passable in general, but for various flaws (at least, in my ears), were not passable for public consumption. However, one recording actually made me smile. Thank goodness! This performance of John Coltrane’s “Central Park West” is from a performance at the ArtsGarden in Indianapolis, Indiana. 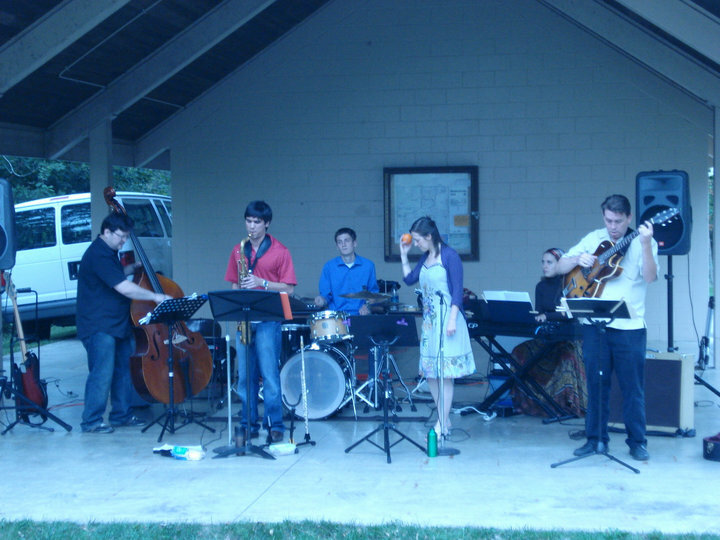 It was recorded about three weeks after my master’s recital, and I think it shows. I sound more relaxed and less measured in my approach; I take more risks, and fortunately they pay off more often than not. 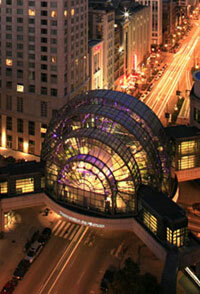 The ArtsGarden is a spherical glass structure that hovers above the intersection of Meridian and Washington streets in downtown Indy. Now, one would think that an entirely glass structure would be a nightmare of a performance space. While I wouldn’t recommend that a percussion ensemble perform there, the acoustic baffling is enough to provide a “live,” yet comfortable, environment. Apologies, however, for the not-so-in-tune piano. The lyrics come from a mental image I developed from the title. I spent an afternoon in Central Park, New York City with my longtime friend Kathy Jacobson in 2005. As I wrote lyrics, I thought back to that time and imagined what it would be like to live nearby and spend afternoons there relaxing on a blanket, a homemade lunch in tow. The story tells of that mental space between waking and dreaming, and seemingly disparate images that form in one’s mind. The singer seeks to accept the unrelated thoughts, and simply enjoy the moment for what it is, allowing the present to begin to feel timeless. A sort of Central Park meditation. As moments fade into space, not quite awake. So why not make this time a time to last? …Come with me to a place we can flee time’s embrace. Last night, I sang with my dear bandmates from Bossa Nuevo in celebration of our self-titled debut release: Bossa Nuevo. The group came together after several conversations about mutual interests in music from South America informed by our training in jazz and classical music. 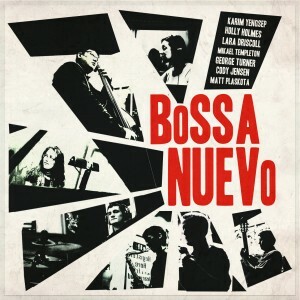 In particular, Bossa Nuevo decided to dedicate itself to two genres and our name reflects this interest–Brazilian bossa nova and Argentinian tango nuevo. Click on the album cover below to hear it! Our CD release party was a treat! We performed for a very appreciative audience at V. Picasso in Urbana, and now I am really looking forward to your comments on the CD itself. We are distributing the record through CdBaby. If you choose to buy a copy there, we would love it if you left a comment on our CdBaby page. Since our debut primarily features Brazilian bossa nova and MPB (música popular brasileira) songs, we plan to put any profits right back into another recording project that will highlight tango music. But for now, enjoy the debut!